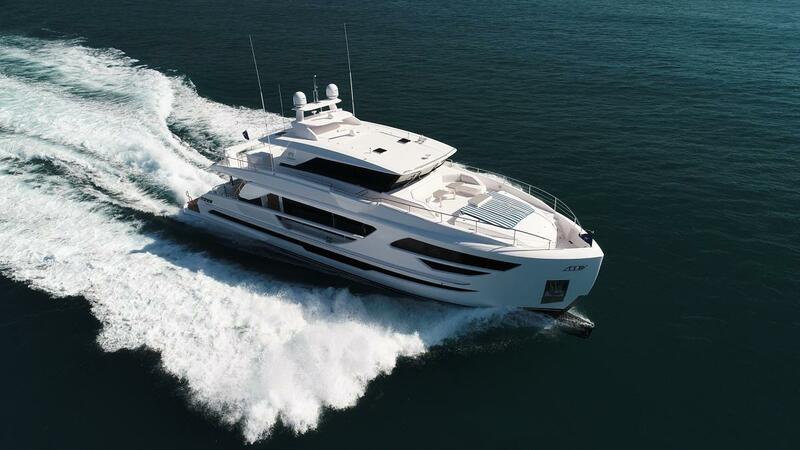 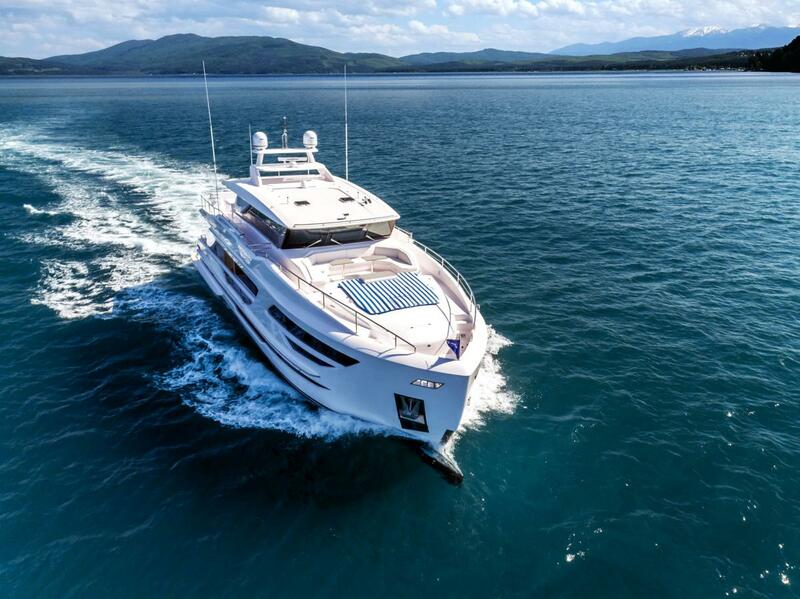 A brand new Fast Displacement motoryacht from Horizon has completed sea trials and is preparing for delivery to the U.S. 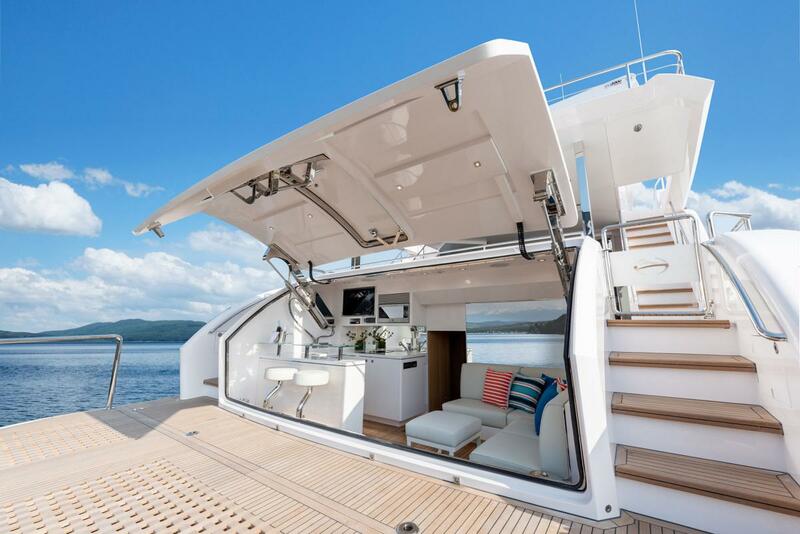 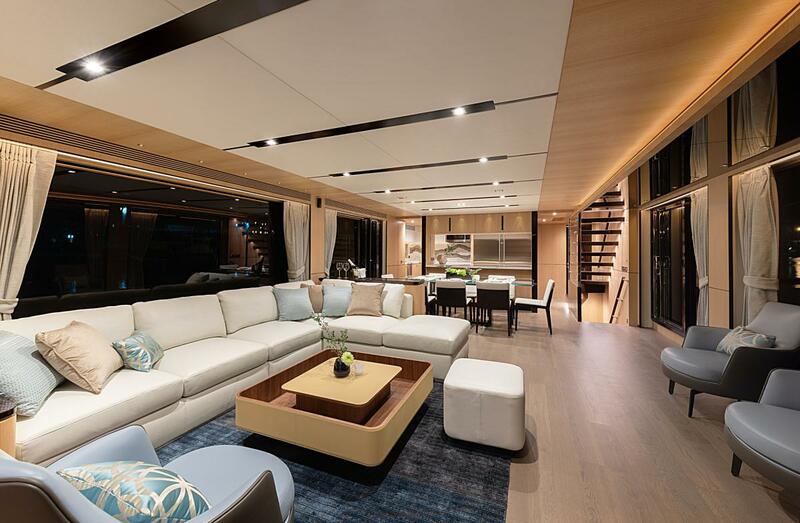 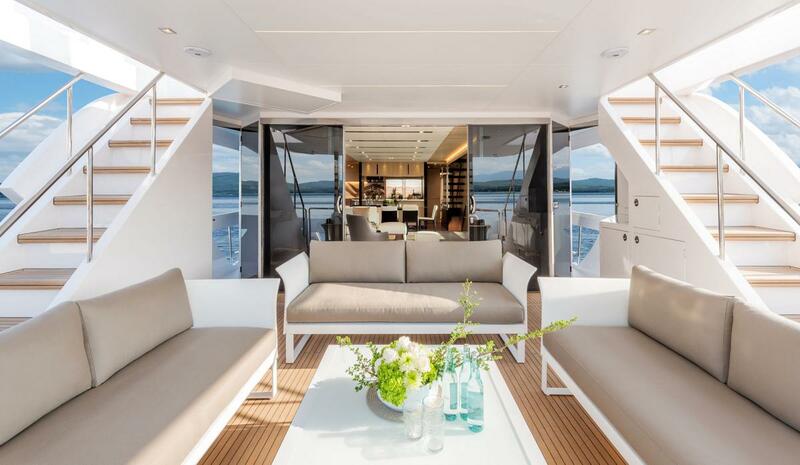 The new FD87 Skyline luxury motoryacht is the first FD87 to feature a walkaround bridge deck design as well as many new amenities designed to enhance the onboard experience. 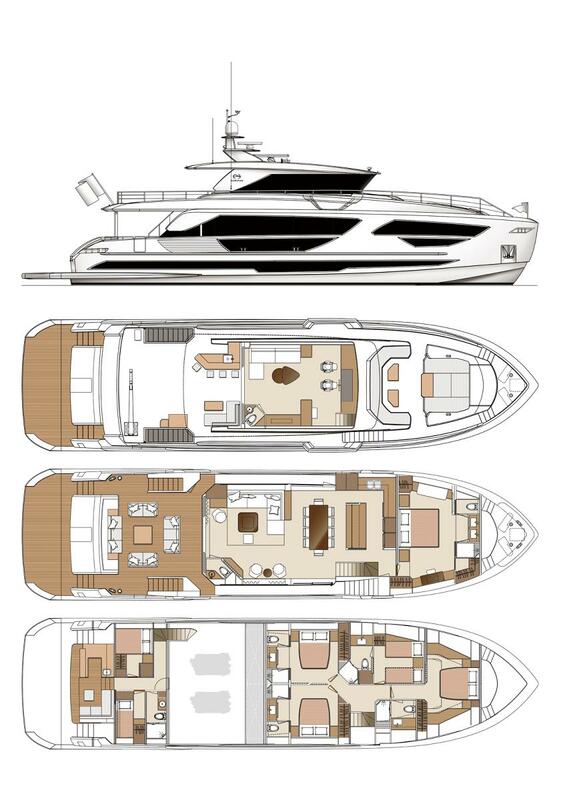 Everything onboard the new FD Skyline has been considered with functionality in mind, including the outdoor areas; the main deck aft offers loose and built-in seating to be configured at the owner's choice, and the ever-popular beach club and Hi/Lo swim platform is fully equipped for use as a watersports area or crew mess. 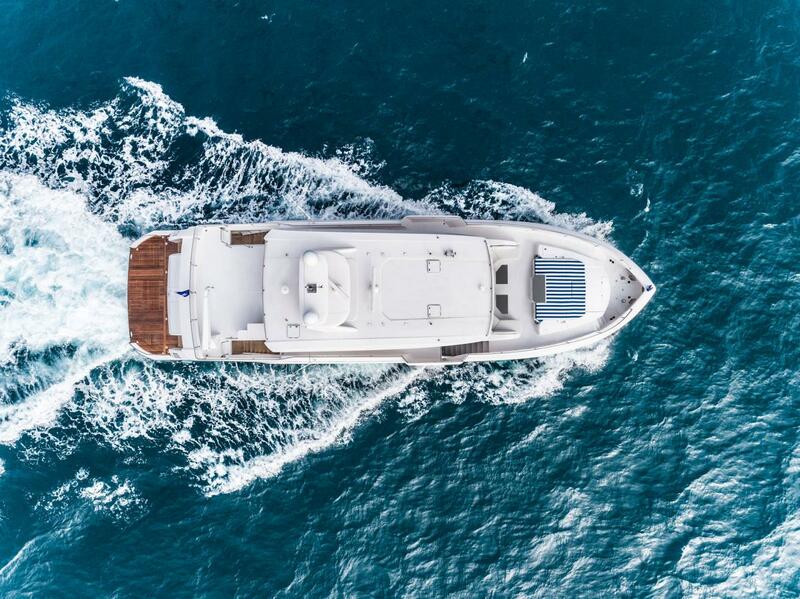 Contact our office for more informaton - 561-721-4850 or sales@horizonyachtusa.com.